It may or may not be spring fever, but something has gotten into the Rowan women’s lacrosse team. Before March 29’s 20-10 loss to No. 10 Catholic University, the brown and gold had won four consecutive games. 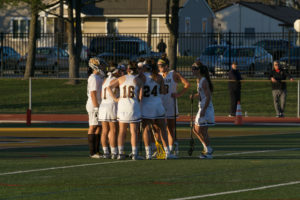 The streak began with March 14’s matchup against Western New England University, a game that saw the Profs rack up a then season-high 13 goals. 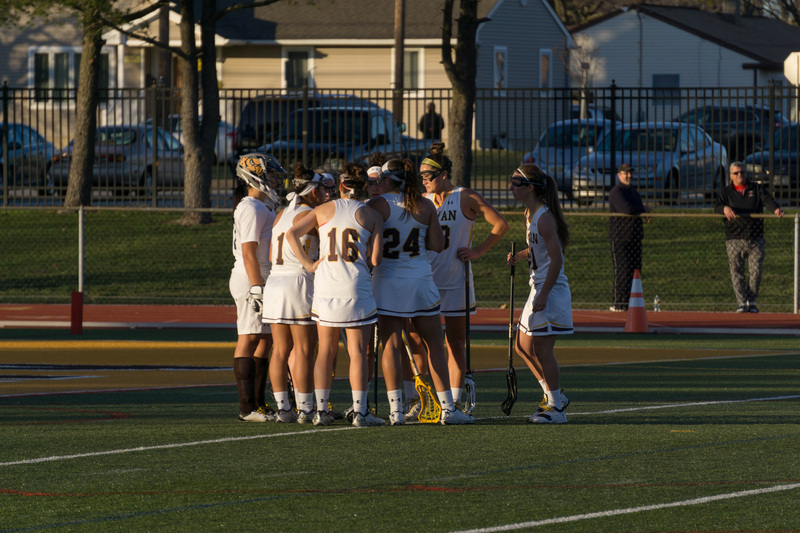 Rowan was outscoring its opponents, 58-29, and goals were coming from all over the field. Six players have 10 or more goals so far this season, while one player has nine. In the past, the Profs have also seemingly relied on a single player to pour in the points. Delaney doesn’t believe any negatives will come from the team’s current situation. “In this group, without that gap, I think that just makes the defense spread themselves out and not be able to pick out one person,” Delaney said. Prior to the game against Catholic, senior attack Ali Herbert said that they were going to take the game just like any other. However, Thursday’s game was uncharacteristic for the Profs. During their winning streak, the brown and gold averaged 16.5 draw controls per game. Against the Cardinals, Rowan only managed six. Before the game, Delaney stressed the importance of winning the draw control. Following the loss to the Cardinals, the Profs record stands at 5-3. They will next see action on April 4 against University of Scranton.